talian family dinners often start with antipasto; platters full of Italian cured meats, cheeses, olives and roasted peppers. 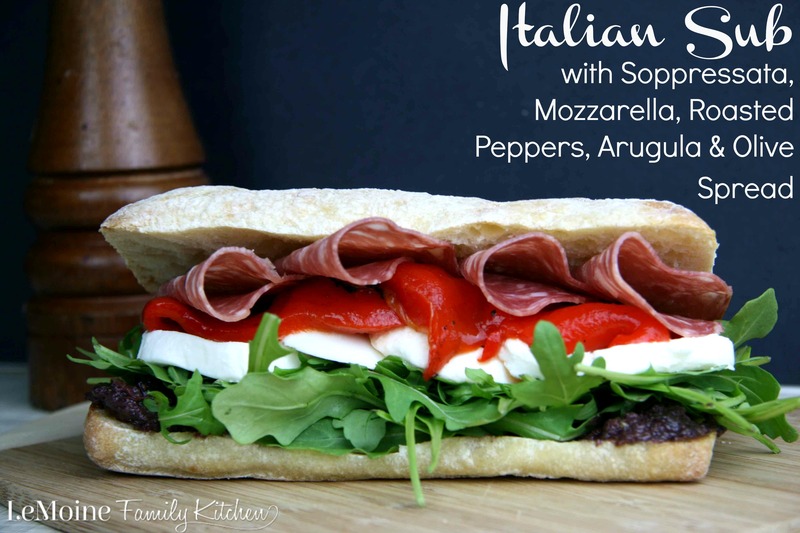 I think I could eat antipasto everyday so it was my inspiration for this sandwich! 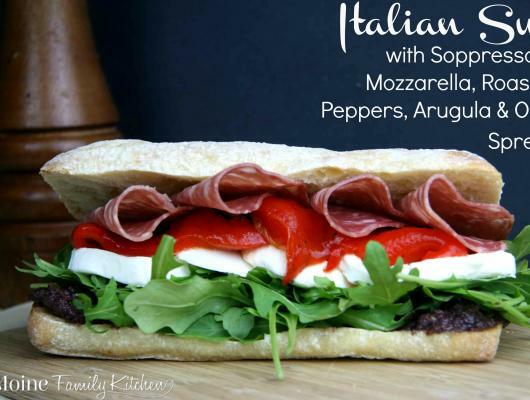 In my opinion, a good Italian Sub MUST start with good bread, like this ciabatta roll. Nice crust on the outside and the inside is perfectly chewy. Its not overly doughy which I love too!